Nov Bashsea shipment packed and on its way. Its been a busy few weeks for the team at Bashsea HQ. They have been finishing off our big order of sumps, Pellet Master reactors and a few custom pieces for various customers around Australia. 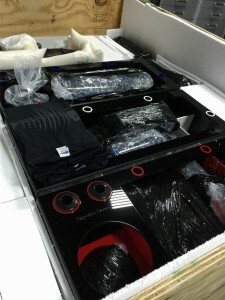 Suss out the awesome looking Bashsea Signature series sumps below.